So proud of my little mutant! Me too — Thanks for allowing me to share your amazing PoM! So beautiful. Bill and I were trying to grow one up on the hill, but it died. I’m not giving up, I’ll try again, and again, until I get it right. We were just at the Desert Botanical Garden in Phoenix a few weeks ago, and I thought I had my fill of weird plants. But this one just might take the cake! Thanks for the post. I heard from Alison Dingledein at work that you’d been down … I have to go onto FB to check the photos …. I love that this bizarro PoM is somewhere I can track easily as I can’t wait to know what it does next! 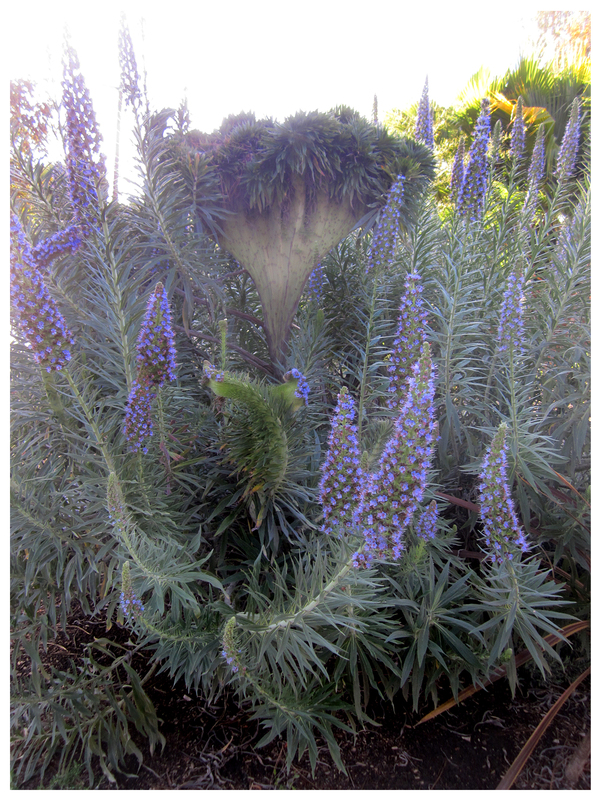 Sweet, I’ve never seen a crested Echium before! My crackpot theory with all our succulent crests is that it’s pest related. Aphids on the Euphorbias and cabbage loopers in the succulents. They mess up the central growing point and weird things happen. Well, crest theories do abound. I actually take comfort in knowing that there are succulent phenomenae still unexplained … actually, make that comfort and delight! Oh that’s so cool! Thanks for posting that. 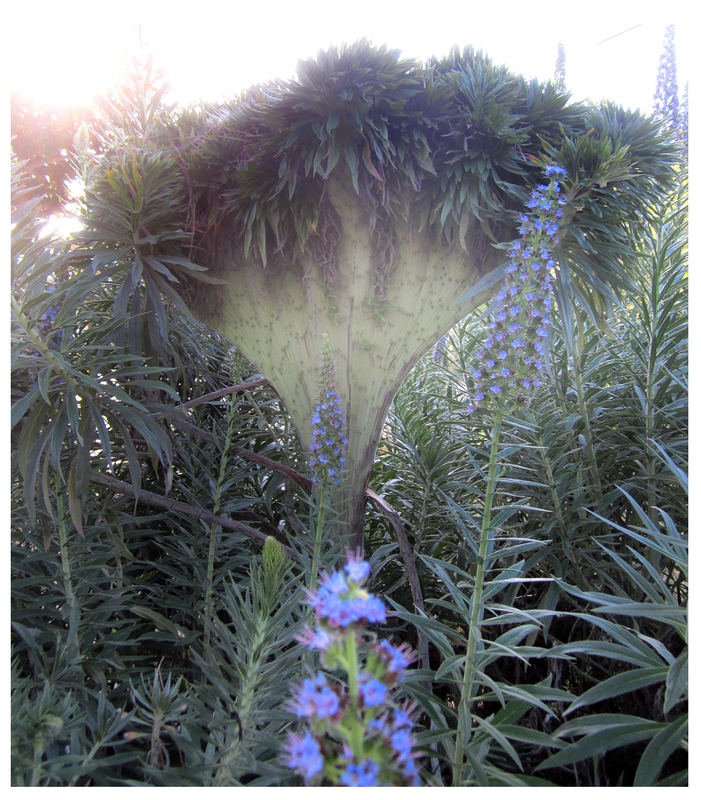 I didn’t know Echiums did that. 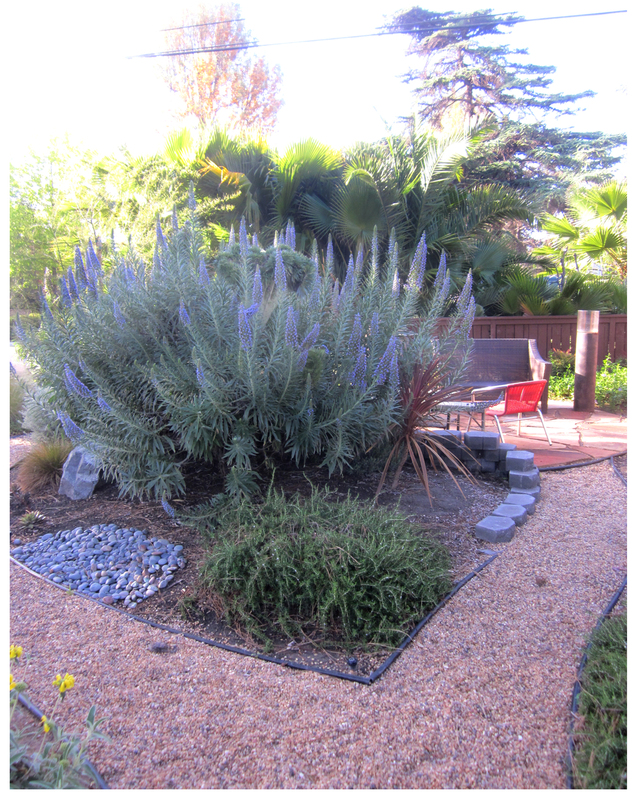 Right; It was news to me too … and just like that one of my fave plants went double-platinum! There are quite a few of these plants around Ventura, at the pier and other places I go. Ill be looking for mutant plants out here now! Cool, if you come across one send me a pic and I’ll put it up, here … Mutants must be seen!